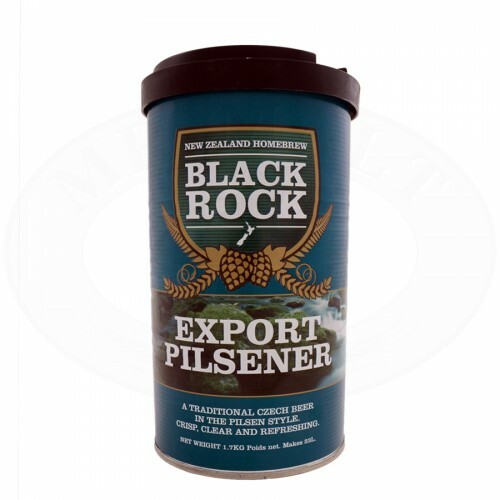 “Pilsner” beer kit for the production of 23 litres straw yellow, clear beer a creamy foam. Traditional Czech beer, Pilsner style. Its colour is light blonde, it shows a perfumed and dry character, with a clean and refreshing taste. The package contains a dry yeast sachet. To be served at 12°C. Ingredients: BARLEY and WHEAT malt (with different roastings), hop, hop extract, water, dried yeast.